A rare opportunity to acquire an upgraded and redesigned one bedroom terraced bungalow situated within this quiet cul-de-sac location within a short walk of Crawley town centre. 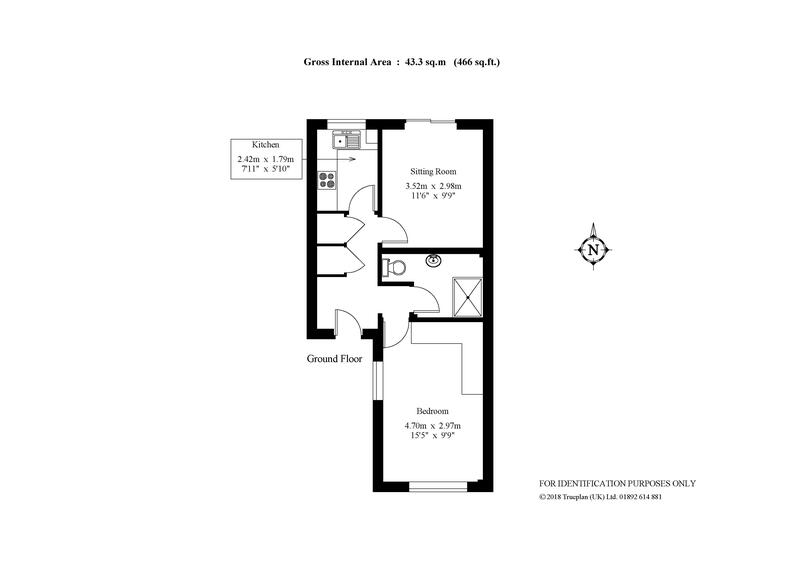 The accommodation comprises of entrance hall with front door, storage cupboard and additional cupboard with plumbing and space for a tumble dryer. The living room is situated to the rear of the property with patio doors leading to an attractive and private courtyard garden. The kitchen is to the rear and is fitted with an extensive range of wall and base units, sink unit and roll top work surfaces over. Integrated appliances include gas hob with cooker hood over, electric oven and there is also space and plumbing for a washing machine and fridge/freezer. The kitchen is finished off with partly tiled walls and houses a wall mounted gas fired boiler. The bedroom is located to the front with fitted wardrobes and hanging space on two sides. There is a refitted shower room with fully enclosed double shower cubicle with contemporary style wash hand basin, low level W.C, partly tiled walls and extractor fan. Outside the property is approached by private entrance with communal parking, there is a garage en bloc. The rear courtyard garden is laid to patio with the whole being enclosed by wooden panelled fencing. Situated in this popular area on the southern side of Crawley within walking distance of the town centre with its excellent selection of shops, inns, recreation facilities and schools. Additionally, there are excellent sports facilities at the K2 Leisure complex which is a short drive away. Crawley railway station (London Victoria/London Bridge approx. 35 minutes). Gatwick Airport and Junction 11 of the M23 are also within easy reach. • •	Schools •	Hilltop Primary School, Southgate Primary School, St Francis of Assisi RC Primary School, St Wilfrid’s Catholic Comprehensive School.